What is Washinkai Karate-do Renmei? Washinkai Karate-do Renmei is a professionally run Karate association, originally founded in 1978. 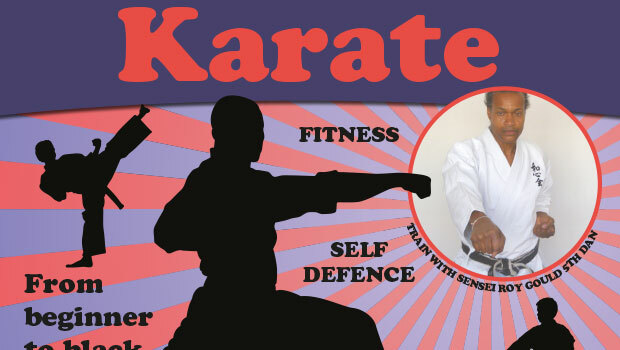 It is established under the rules of the English Karate Governing Body, of which Washinkai is a founder member. The association’s style of karate is strictly speaking its own style, ‘Washinkai’, but it is founded on Wado-ryu. 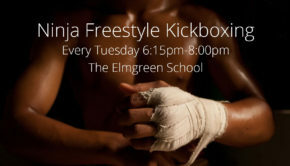 It is a subtle evasive style of Karate, concentrating on speed and timing and avoidance action. Washinkai’s Instructors are assessed according to EKGB approved procedures and certificated. This means ‘Learn with your soul as well as your body’. It is Washinkai’s ‘dojokun’ or dojo motto, which is recited at the end of each training session, and it is a requirement and each member learns its Japanese pronunciation. The dojokun signifies that karate is not just physical training. ‘Karate-do’ means the ‘way of karate’. 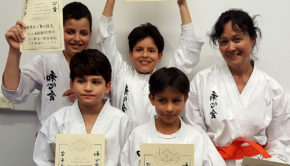 As a dedicated sport karate-ka progresses through the grades, he will find karate influencing in a very positive way areas of his life outside the dojo. These influences appear in many ways, self confidence, self discipline, improved self control and unflappability, and respect for others, are just some of the effects that training in karate can have. Just as karate’s influence produces positive benefits, it also eliminates negative characteristics. On the physical side, because karate exercises every part of the body, any weakness will be highlighted very soon after training commences. If the karate –ka persists in his or hers training karate will then help to remedy this weakness. This is true also for the karate-ka’s character. Karate will soon highlight areas of weakness, such as pride and arrogance, lack of discipline, lack of self control and lack of respect for others. The diligent karate-ka will work through these problems. Those who are not willing to recognise and correct their failings will soon fall by the wayside, not through any intervention by anyone else but through their own actions. In this sense, the karate –ka who is striving ever to improve both his/she technique and character will always be winning the fight. Everyone has the ability to progress in karate, and it is their mental attitude that will decide whether they do or not. The Norwood Community Groups main objective is to help to “Build Bridges in the Community”. 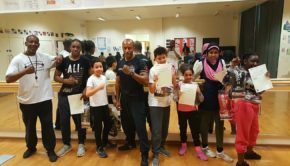 We are working in partnership with Lambeth Council and BTKA to deliver a community based project. The Fit for Life programme is designed to help people of all ages to stay healthy, enjoy and achieve. 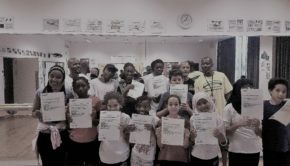 The programme is designed to develop self esteem and confidence in the young people in a social environment. We intend to give advice to help young people with health issues. We also have advisers who will give advice on nutritional/dietary information as well as provide mentoring. Fit for life hopes to help people on their journey in life, so they can aspire to and achieve their goals. On joining you will be asked to complete a membership form, this provides you with insurance whilst training. Anyone who participates in this is program, is required to become a member. Once registered you will be eligible to enter competitions / compete for awards, prizes and AQA accreditation. certificates.